The Kwara State Governor, Alhaji Abdulfatah Ahmed has approved the appointment of Dr. Abdulrahim Yusuf as the new provost of the Kwara State College of Education, Ilorin. The Permanent Secretary of the State Ministry of Tertiary Education, Science and Technology, Dr. Musa O. Dasuki, who made this known in a statement on Wednesday, said the tenure of the current provost of the college, Dr. Saka Opobiyi expires at the end of April, 2018. 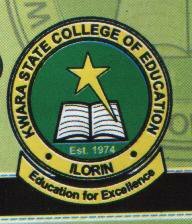 The Permanent Secretary also announced that Governor Ahmed has approved the appointment of Dr. Muhammed D. Ibrahim as the new provost and Mr. Oyedele Joshua Olugbenga as the new Registrar of the Kwara State College of Education (Technical), Lafiagi. Dasuki stated that the governor also approved the appointment of Imam Abubakar as the new provost of the College of Nursing and Midwifery, Ilorin. The Permanent Secretary added that Barrister Saka Kayode and Mallam Tajudeen Mahmoud have been appointed as the Registrar and Bursar of the College, respectively.